The world is more connected than ever. Our mobile device has become an extension of our social and professional lives. The need to always be connected to friends and business colleagues has grown exponentially due to the constant advances in mobile technology. Mobile and smart devices are a vital tool in an ever changing business landscape. Securing the best and most cost effective mobile contract can be of utmost importance when gaining a competitive advantage amongst businesses. However, we understand researching and comparing cheap mobile contracts can be tedious at the best of times. That is why we have made it simple for you. If you are looking to beat your current mobile providers quote or you want to compare prices, we are here to help. Midshire are recognised as one of the leading business mobile service providers for SMEs in the country. Whether you are a new start up business or a large multi-national corporation, no matter the size of your organisation or what industry you operate in, Midshire can provide you with a host of business mobile contracts tailored to your needs. We offer a bespoke mobile service to ensure your business has the most appropriate mobile handsets and applications. 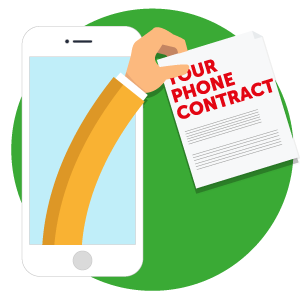 With an almost unlimited host of business phone contracts available, we can offer some of the most competitive tariffs and deals available on the market. Thanks to our partnerships with industry leading mobile providers such as Three, Vodafone and O2, you can be rest assured that you are in good hands and will receive the best levels of service there are. Consider carefully the amount of staff who will need a mobile device and whether they warrant a handset. What will the Mobile handsets be used for? Probably one of the most important questions is to determine what handset you are looking for. Smart handsets will offer connectivity to work emails and data in the palm of your hand. However, what might be important for one employee might be completely unnecessary for another. To help you when making your choice, contact one of our Samsung accredited team who will assess your current mobile set up and the changes which could benefit your business operationally and financially.